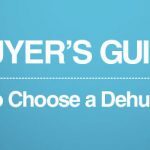 Home » Refrigerant Dehumidifiers » EcoAir DC18 Review – Is This the Best Home Dehumidifier? EcoAir DC18 Review – Is This the Best Home Dehumidifier? The EcoAir DC18 is a refrigerant dehumidifier with a large 18 litres per day capacity. It’s the bigger brother of the recently reviewed DC12, and comes with the same features plus a greater extraction capacity. In this EcoAir DC18 review, we’ll find out whether the model justifies the extra cost, and how efficiently it removes moisture from the air. The EcoAir DC18 has a high extraction capacity and excels at removing water in warm environments. It's also a stylish model that's relatively slim considering its large water tank. While it struggles in cooler environments, it's a great option for heated homes. The DC18 has a curved design with white front panel and grey sides. We think it’s one of the most attractive dehumidifiers on the market, and is certainly more stylish than the typical “off-white and square” design favoured by most manufacturers. Air is pulled in through the back of the machine. Once moisture has been removed, the air is pumped out through the side. This means it’s vital to leave space around the machine in order for it to work effectively. Like the DC12, it has a basic filter for removing dust and other particles from the air. This can help allergies, but it doesn’t include a charcoal or HEPA filter for smaller particles and bacteria. For this, you’ll need to look at a more expensive option such as the DC202 Hybrid. It’s important to clean the filter every few weeks. Fortunately, this is quick to do with a vacuum cleaner. You can also use a soft brush to gently remove captured dust. One of the stand-out features of the DC18 is its large 3.5 litre water tank. This is one of the larger tanks for a home dehumidifier – especially in this price range – and means you won’t need to empty it as often. The tank is located at the front of the machine and is quick to remove and empty. You need to line it up correctly to slot it back into the machine, but once you’ve done this a few times it’s easy to do. It can be easy to spill the tank when it’s full, however, so you need to take care when emptying. The DC18 is marketed as a compact dehumidifier, although it’s not quite small enough to meet our requirements for this label (we look for dehumidifiers with less than 30cm width and 20cm depth, whereas the DC18 has a 35.3cm width and 22.5cm depth). There’s no arguing that it’s compact for a machine with an 18 litre per day capacity and 3.5 litre water tank though. So if you want a compromise between extraction capability and size, it’s an excellent choice. If you’re trying to decide between the DC12 and DC18, be aware that the DC18 is noticeably heavier at 13.5kg – although its dimensions are the same. 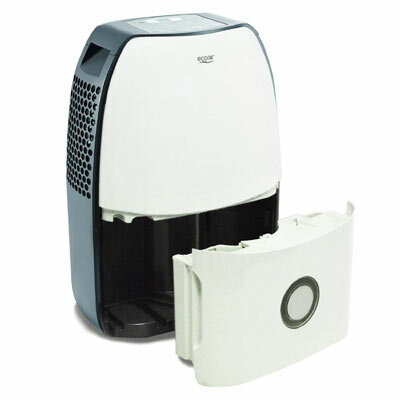 This makes it one of the heaviest dehumidifiers and reduces its portability. Like the DC12, it comes with easy-glide castor wheels for quickly moving between rooms. There are only recessed handles rather than a “true” handle though. This is a shame, as it’s a heavy model so isn’t easy to carry up and down stairs. The DC18 is a refrigerant dehumidifier. This type of dehumidifier removes moisture by taking in air and passing it over cooled coils to form condensation. Like other refrigerant models, the DC18 is much more effective in warmer and humid conditions. As temperatures drop, it starts to struggle. As the name suggests, the DC18 has a maximum extraction capacity of 18 litres per day. This is relatively high and makes the machine suitable for larger homes, but keep in mind this is only achievable in ideal conditions. In the average UK home, the actual extraction rate will be much less – although this doesn’t mean the DC18 isn’t great at removing moisture. In fact, it’s highly efficient at removing water in warmer conditions. If your home suffers with condensation it will quickly remove large quantities of moisture. It’ll also dramatically reduce the time it takes to dry clothes. A “Personal Humidity” setting is included. This is EcoAir’s version of a humidistat, meaning you can set your desired humidity and leave the machine to do its job. When the humidity reaches your desired level, the dehumidifier switches off to save energy. It then switches back on when the humidity rises. The 18 litre per day capacity makes the DC18 suitable for larger homes than the DC12. It’s a good option for houses with up to four bedrooms. It can also cope with a higher level of damp than the smaller model. As you would expect from a more powerful machine, the DC18 is louder than the DC12. On its highest fan setting it has a 45dB sound output, which is relatively loud (although not the loudest we’ve seen). The lower fan setting reduces this to 43dB. You wouldn’t be able to run the DC18 in a bedroom at night without being disturbed on either setting though. For comparison, the DC12’s sound output is 43dB on the highest fan setting and drops to 41dB on the low setting. 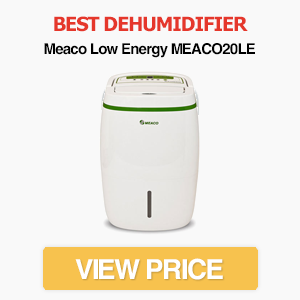 It’s always difficult to compare the energy efficiency of two dehumidifiers, as the power used depends on the temperature, humidity and efficiency of the machine. The maximum power required by the DC18 is 295W when on “high” mode, which is relatively low considered the excellent extraction capacity. If you want to save energy, the low fan speed reduces the power required. This comes at the expense of slower water extraction though. With it’s affordable price tag you wouldn’t expect the DC18 to have many advanced features. We’ve been pleasantly surprised by the number of settings and options it provides though and it compares favourably with more expensive models in this regard. 2 fan speeds. If you want to save energy or reduce sound output, a “low” fan setting is available. 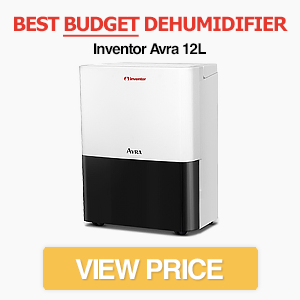 Not many dehumidifiers in this price range have this feature, especially ones with such a high daily capacity. Timer function. Two and four hour timer modes are included. These are handy, although we would have liked an eight hour option. Laundry mode. A laundry mode is included that EcoAir claims can dry a batch of clothing in less than 4 hours. Continuous drainage. If you’re going to use the DC18 in an environment with severe damp, or don’t want to worry about emptying the tank, the continuous drainage option is a a useful feature. A pipe is included. Auto restart. If power is interrupted, the dehumidifier will automatically restart while remembering its settings. Automatic defrost. If condensation starts to freeze on the coils, the DC18 will automatically stop dehumidifying and begin defrosting. Automatic shutdown. The dehumidifier will switch off when it detects the water tank is full. Note: The EcoAir DC18 comes with the company’s standard 2 year warranty. The LED display shows your desired humidity level. The DC18 comes with a simple LED display and “touch” buttons. Everything is intuitive and simple to use, so you won’t need to constantly refer back to the manual. Initial setup is also easy – you just need to remove the protective tape and plug it in. While the display is basic, it’s easy to see and we wouldn’t expect more from a dehumidifier in this price range. Plus and minus buttons on either side allow you to set your desired humidity in 5% increments. This gives you precise control over the humidity in your home. Below the display are various other settings and features. The timer modes, for example, can be accessed using the two or four hour button. Many people use the timer modes on a daily basis to keep humidity at manageable levels without wasting energy. As we mentioned earlier, however, it’s a shame that the maximum timer length is four hours, as a longer option would have been useful. The control panel also has a simple button for switching between fan modes. While you’ll often want to use the higher fan speed, as this maximises moisture extraction rates, the lower speed is handy for reducing noise and energy usage. With an RRP of £165, the DC18 provides excellent value for money. It’s a powerful model with a range of useful features, yet is available for considerably less than other dehumidifiers with similar features. The RRP is also only £20 more than the DC12. So if you’re not sure whether you need the more powerful model, and don’t mind a slightly louder dehumidifier, it’s probably best to go for the DC18. The biggest difference between the DC18 and DC12 is the extraction capacity. Aside from having a larger 18 litre per day capacity, the DC18 is the same size and has exactly the same features. As you would expect, the higher capacity means the DC18 is also 2.5kg heavier and 2dB louder. The EcoAir DC18 dehumidifier is a great option for medium-size homes – as long as the environment is heated. It provides excellent water extraction in warm and humid conditions, but struggles in cooler environments (such as conservatories or garages). It also has a range of useful features, including a large water tank and efficient automatic mode. 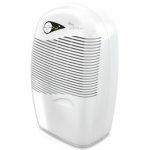 Overall, we think the DC18 is an excellent dehumidifier and is worthy of a place on our list of the best UK dehumidifiers.